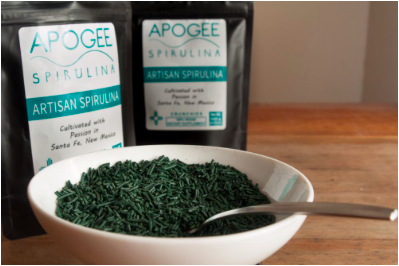 Nicholas Petrovic went to France to learn the small-scale, artisanal method to grow spirulina. 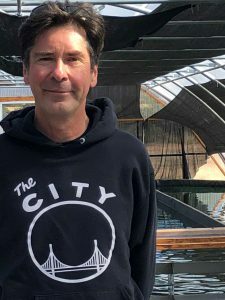 Nic has been farming spirulina in two large greenhouses since 2015. But even with greenhouse production, he says growing a consistent product is his greatest challenge, especially with seasonal changes. Researchers at New Mexico State University are also interested in this challenge, and are working with Nic to analyze the impacts that seasonal temperature and light conditions have on spirulina nutrition. Interns from Santa Fe Community College work with Nic to produce the crop that they grow, extrude, and dry into “crunchies”, which are then packaged for sale. Shoppers can eat the crunchies by adding them to smoothies, sprinkling atop salads, or enjoying them directly from the bag. Spirulina can be added to smoothies, sprinkled on salads, or eaten directly from the bag. 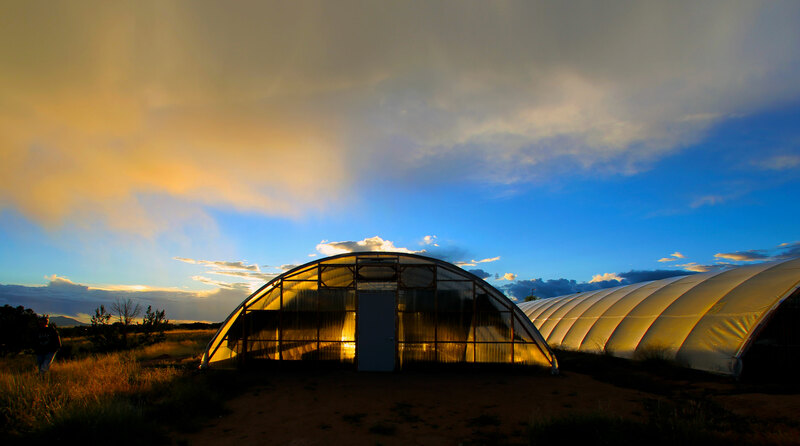 Nic’s future plans are to expand his operation to six greenhouses, and continue to hold workshops where he can “share the love of spirulina” with others. He has had workshop participants travel from as far away as Australia to learn his techniques. There are several reasons Nic enjoys farming spirulina. Beyond being able to use his product in his favorite recipe, Vegan Chocolate Spirulina Balls (browse all of Nic’s recipes here), his farm gives him plenty of time to pursue two of his favorite interests: hiking and napping. 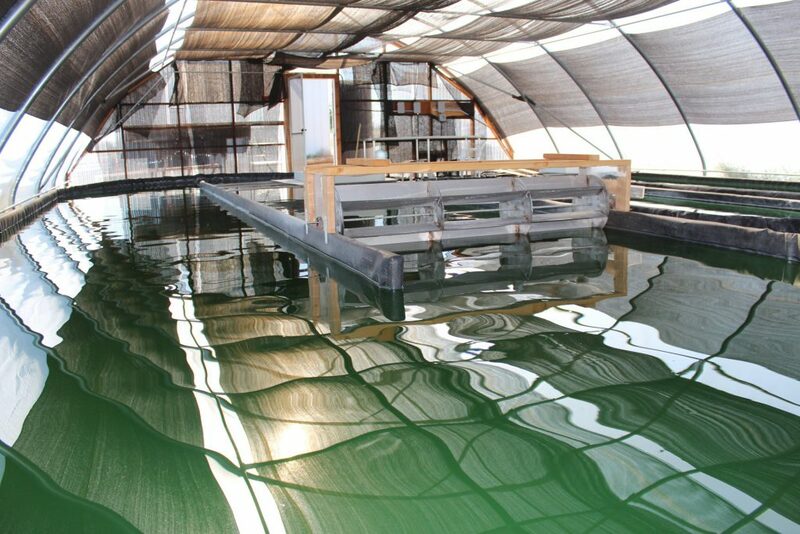 Growing spirulina is naturally pesticide- and fertilizer-free, and after an initial tank fill, only requires water levels to be topped off periodically.